Australian PM Tony Abbott, who dismantled a policy to price carbon, rose to power by attacking and dividing—a strategy that eventually backfired. Tony Abbott came into office with a hard-charging campaign against his predecessors, and a vow to repeal Australia’s carbon pricing law. 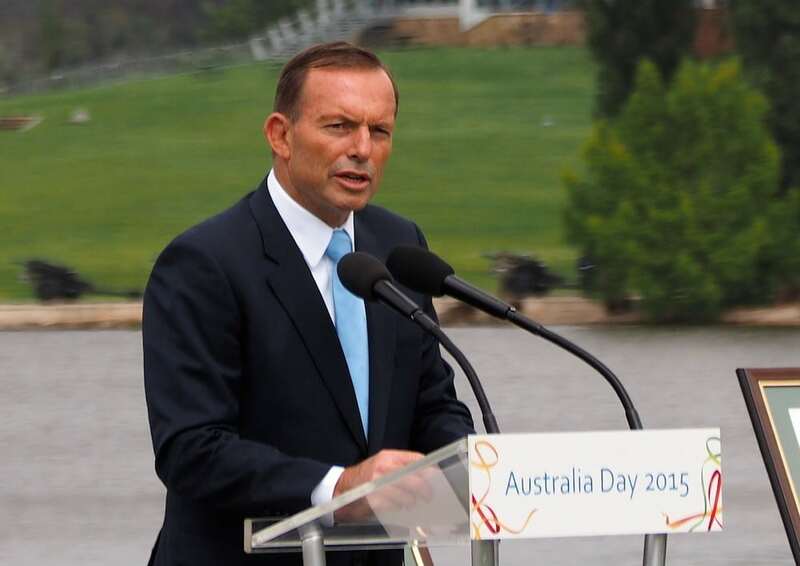 Abbott had been close to the coal industry and had opposed Australia committing to strong climate action. Today, Julie Bishop, the deputy leader of Abbott’s Liberal Party asked him to resign or hold a party ballot. He chose to call a party leadership ballot, and rival Malcolm Turnbull won the vote to replace him. Turnbull will now be Australia’s fourth prime minister in three years. In 2013, Julia Gillard, who had ousted her own Labor Party’s leader and then Prime Minister Kevin Rudd in a similar way, was herself ousted by Rudd. Rudd then lost the election to Abbott, and now Abbott is pushed aside by his own Liberal Party leadership, in favor of Turnbull. It remains to be seen whether Turnbull will fare any better than his predecessors. The risks, and the opportunities, are many. Last year, Abbott did succeed in cancelling part of the country’s carbon pricing strategy, not by repeal but by setting the price to zero and halting the transition from fee to cap and trade. In recent days, he was heavily criticized for a gaffe in which he was caught laughing at a joke made by one of his ministers about the existential threat to island nations from rising seas. Abbott was not a friend to climate solutions, but the climate issue was not one where his approach won a lot of favor. Having just been to Canberra myself, I can report there was much talk there, from people of very different political views, about the problem of Australian politics being overtaken by an endless campaign of “wedge and block” or “wedging”. To wedge is to adopt policies that will split the opposition, cutting a divide between those who would support policies the public likes but which are inconsistent with their own values and those who would oppose those policies at any cost. Tony Abbott prospered from this strategy. He came to power amid a vicious internecine struggle in the governing Labor Party. Abbott once proudly explained that he was skilled at “sledging” in cricket: verbally taunting opponents to distraction and underperformance. The electoral climate was ripe for this skill in 2013, so Abbott campaigned with a tough, simple, and repetitive, line of attack. He accused the Labor government of hurting the economy with its climate policy and of not being tough enough in keeping asylum seekers out. During our first CCL Australia national conference, we spent time stepping into Abbott’s shoes. It was uncomfortable for people who care about the climate to do this, because he has been so hard on them, rhetorically and in his policy actions. But, interested in getting beyond that way of thinking, everyone embraced the exercise. Since he was up against a divided Labor Party, the question arose as to why he did not run a more magnanimous and visionary campaign. The discourse of the moment drove the decision to run that campaign, trusting that Abbott’s skill in this area, and the blunt and focused campaign, would ensure victory. This was the comfort zone where Tony Abbott preferred to operate, and so he committed to it. By going that route, the PM had placed some very serious constraints on his ability to govern in a more constructive way. This is not only a strategic limitation, but a personal hardship. He would carry the burden of this strategy throughout. That Tony Abbott may have been burdened by the harshness of his own political style was a new insight to many, but became a touchstone of our thinking about the best way to engage with people whose views differ from our own. Look for the humanity in the differences that come between us; look for the limitations hard-charging campaigners have put on themselves or are forced to align with. This is crucial, because it may explain the fall of Tony Abbott as well as it explains his rise. Sledging and wedging may weaken your opponents, but they don’t tend to win you many friends. The stress of that pugilistic approach then drags on, as everything starts to feel like a fight. That hard-charging negative strategy also doesn’t guarantee that electoral support will translate into sustained political support. Abbott had pledged to stop the flow of refugees to Australia’s shores, but was recently forced to reverse his policy and allow 12,000 Syrian refugees to come to Australia. To put that reversal in perspective, the United States, with more than 15 times the population of Australia, and a far more progressive executive, has just moved to let in 10,000. Abbott not only reversed course, but he did so without winning many new friends. Those across the Australian political landscape who disliked him for this and other reasons reacted more with a sense of triumph than with gratitude and sympathy. Another great embarrassment for Abbott came when Australia hosted the G20 late last year. He had spent months promising there would be no talk of climate at the G20, only to have US President Barack Obama announce a major bilateral climate deal with Beijing. The US-China climate deal became a game-changer in the quest to build a global response comprised of serious nationally determined climate strategies, and Abbott did not have anything near sufficient enough to offer to meet the moment. The US-China deal was kept secret specifically to surprise the world on the occasion of the G20, and the incident brought to light the degree to which it was really not feasible for Australia’s government to act as if climate were not a major global issue going into 2015. The resons for his ouster are many, but the headline is that Liberal Party leaders like Julie Bishop and Malcolm Turnbull had come to the view that there was no way to win the next election if Abbott remained as Prime Minister. A clear reason for that was his unique unpopularity with the electorate. It’s worth reflecting on this question of sledging and popular appeal, because I also learned in my time in Canberra that Tony Abbott had some qualities you might hold up as virtues: he serves as a volunteer fire fighter, for instance, and spends one week a year living with aboriginal people voluntary actions not characteristic of a sitting head of government. Yet those charismatic particulars could not erase the bad feeling sent rushing into the world by his default political style. The insight would seem to be: constructive inclusive responsible problem-solving is a better way to win friends than by sledging and wedging. There is a better way to govern, and the new PM now has an opportunity to do so. After the first CCL Australia National Conference, and with our first national lobby day taking place at Parliament House while this drama was unfolding, we hope to see in government more of the open and engaged listening we build into our own team’s efforts. With three consecutive Australian prime ministers now fallen in three years, and no true comprehensive climate approach yet adopted by Australia, one can only hope that Malcolm Turnbull will see the opportunity for leadership. He can accelerate Australia’s climate action by adopting economically vibrant, fiscally responsible policies to transition Australia’s economy. If he does this, Prime Minister Turnbull will step onto the world stage with a bid to protect neighboring island nations from disappearance and secure Australia’s position as a leader in the economy and diplomacy of this century. There has been speculation that Malcolm Turnbull might strengthen Australia’s climate target or move forward with an economically efficient carbon pricing strategy. Turnbull has said he will not seek to alter the standing climate policy of direct action. There has been speculation he would move toward carbon pricing, because he had supported ETS and had said that “having the government pick projects for subsidy is a recipe for fiscal recklessness on a grand scale”—which many interpret as a better rendering of his view on direct action than would be recent claims of unconditional support. He has said that “Policies will change in the light of changed conditions“. To shore up support in anticipation of a possible division within the ranks, Turnbull is reported to have negotiated a new deal with coalition partners, with tighter restrictions on new directions in key policy areas.